Proprietary Name: Flarex What is the Proprietary Name? 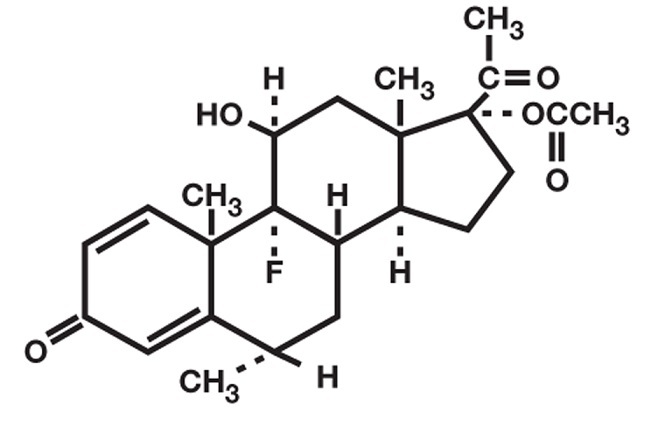 Non-Proprietary Name: Fluorometholone Acetate What is the Non-Proprietary Name? 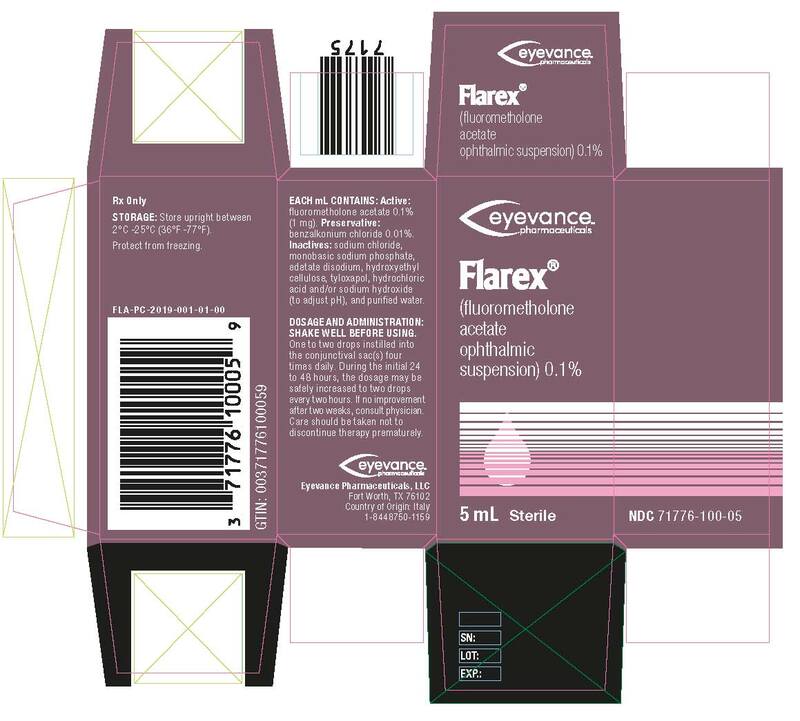 Flarex with NDC 71776-100 is a a human prescription drug product labeled by Eyevance Pharmaceuticals. The generic name of Flarex is fluorometholone acetate. The product's dosage form is suspension/ drops and is administered via ophthalmic form. Dosage Form: Suspension/ Drops - A suspension which is usually administered in a dropwise fashion. FDA Application Number: NDA019079 What is the FDA Application Number?